To further enhance the versatility of the Syncro fire alarm system, additional sounder output capability can be added using Syncro sounder boards. These boards have 6 monitored sounder outputs, each of which can be individually programmed. In addition to the sounder outputs each board has two general purpose, opto-isolated inputs and two volt-free changeover contact outputs. 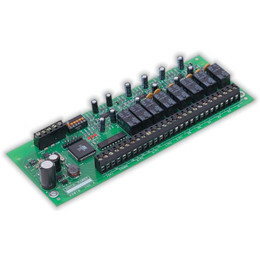 Up to 32 of these boards can be connected to the dedicated RS485 communications bus in the control panel giving the capability of 192 additional sounder outputs with 64 general purpose inputs and 64 general purpose outputs. 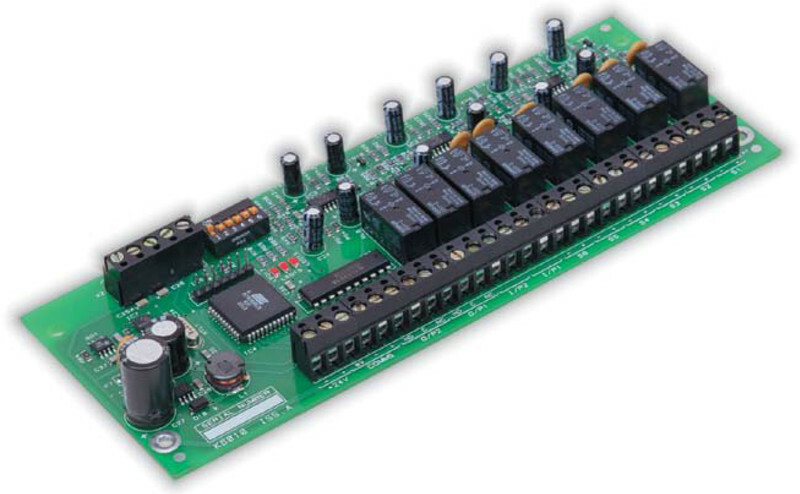 The sounder boards may be mixed on the RS485 bus with 16 channel I/O boards, 8 way relay boards or 4 way conventional detection zone boards to provide a very flexible system of I/O to satisfy any requirement. All inputs and outputs are configurable in the same way as devices connected to the loops and all may contribute to, or be acted upon by cause and effect logic. These boards are typically used in applications that require more than the four standard sounder outputs such as replacement of existing conventional systems. Standard Syncro control panels contain fixings for one sounder, relay, conventional detection or I/O board, which can easily be connected using four small signal wires to the power and comms bus within the panel. Consideration must be taken as to the loading on the main panel.